We are Gross Butler, we do comedy, now stand the hell back. Performing: Sunday, June 10th, 6:00 p.m. The iniquitous duo of Alex Gross and Mike Butler serve up a furious storm of improvised mayhem for the amusement of others. Alex likes shirts with cats on them. Mike has already identified sixteen ways to strike you in the groin. Together they perform long-form improv. 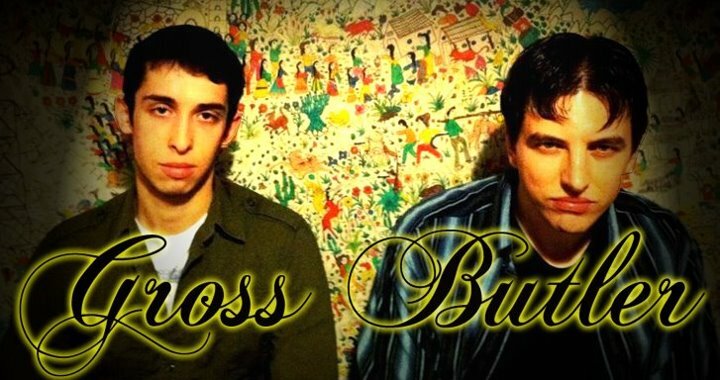 Since their formation in 2011, Gross Butler has performed in various venues and events in Philadelphia, including the Philly Improv Theater, The Sideshow, Polygon, and the Philadelphia Fringe Festival. Gross Butler is also the inventor of improv’s most dangerous opening: The Boxing Cloverleaf.